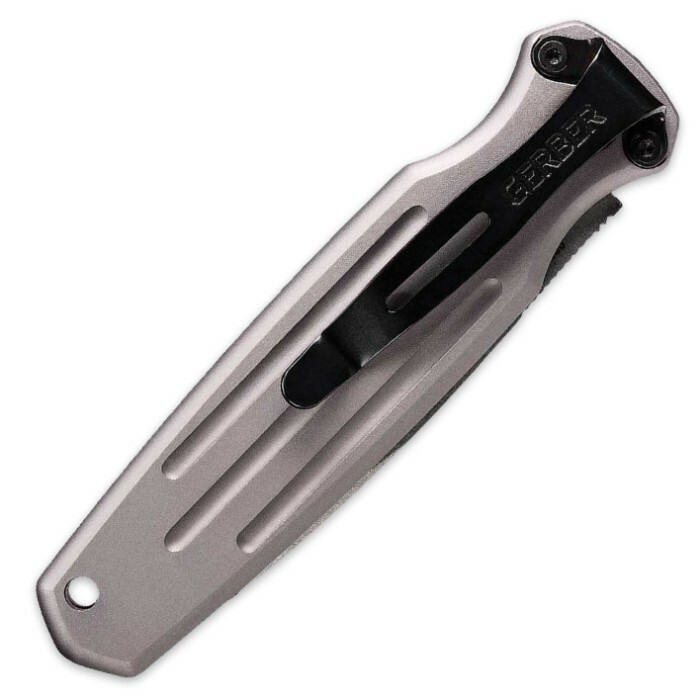 Gerber Mini Covert Automatic Opening Pocket Knife - Tactical Gray | BUDK.com - Knives & Swords At The Lowest Prices! Known as the international best-in-class folding tactical knives, the Gerber Covert family takes another leap forward with the addition of the Mini Covert Auto. 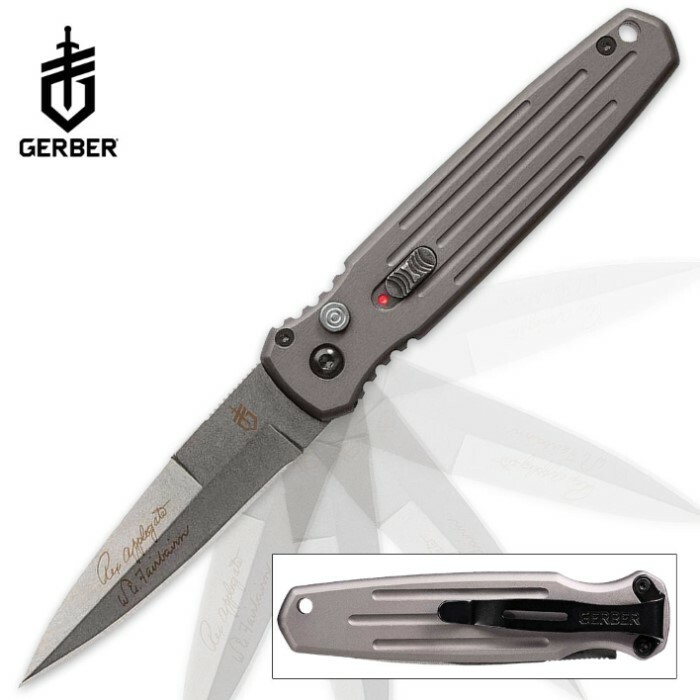 Gerber's popular Applegate-Fairbairn S30V steel blade folder gets quicker with a new spring-loaded auto release that rapidly deploys the S30V tactical blade with the push of a button.The addition of this knife is a perfect way to complete a collection, while also owning a perfectly balanced auto-opening knife. The Mini Covert Auto is the perfect example of a small tactical auto with everyday carry abilities - light, strong and discreet.